We all know “Cucumber” is the buzzword for BDD, but the vast majority of the population knows it only as a vegetable. My wife and I prepare a special Chinese cucumber dish about once a week that’s fresh, tasty, and nutritious. It is very easy to prepare, since it requires no cooking. It may be served chilled or at room temperature, which makes it great for warm weather. As a change of pace for my blog, I’d like to share my cucumber recipe. C’mon, a panda’s gotta eat! I strongly recommend against substitutions. This recipe is best with authentic ingredients. Specifically, do not substitute the cucumber variety – “regular” cucumbers won’t work. 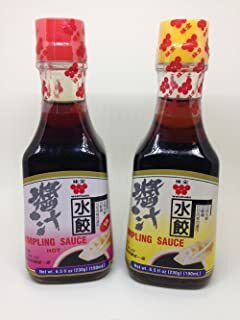 If you cannot find the required ingredients at a regular grocery store, Asian supermarkets will carry them. 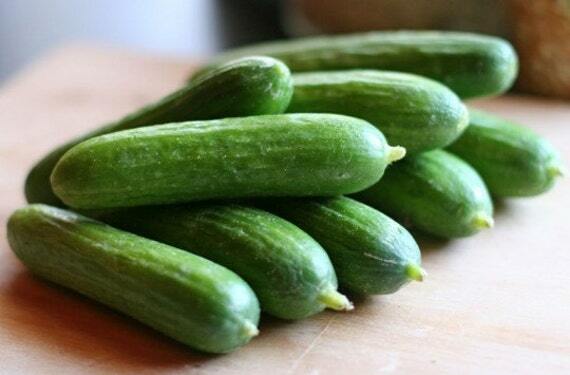 These are Persian cucumbers. They are about 6 inches long and have a 1-1.5 in diameter. These are all the ingredients that you need! Prep time: 15 minutes, tops. A cucumber, smashed and chopped with the Chinese cleaver. The finished dish, ready to eat! Sesame seeds and garlic powder are sprinkled on top. Also, notice how the glass container spreads the cucumbers out so that they can soak in the sauce. The Mandarin word for “cucumber” is “黄瓜” (“huángguā” in Pinyin, pronounced “hwang-gwa”), which directly translates to “yellow melon” or “yellow gourd” in English. Asian varieties of cucumbers have a much yellower hue than their Western counterparts, as is apparent when making this dish. China grows about three-quarters of the world’s cucumber crop. Cucumbers are about 96% water.